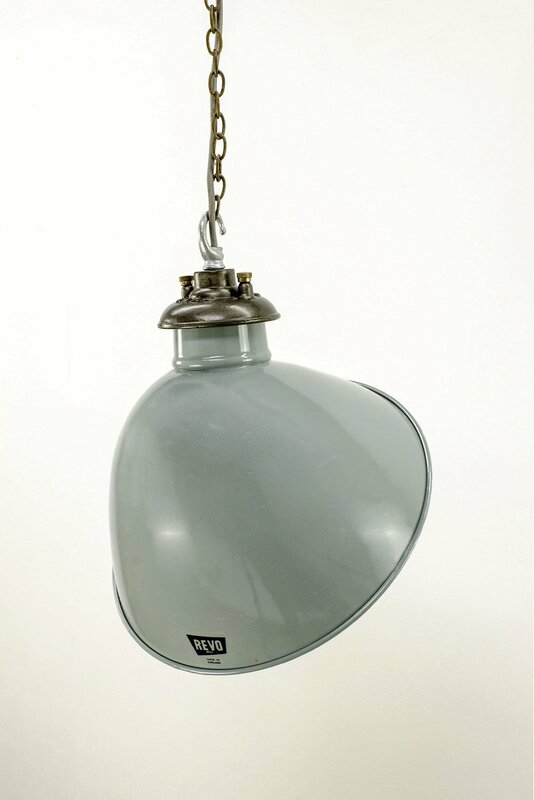 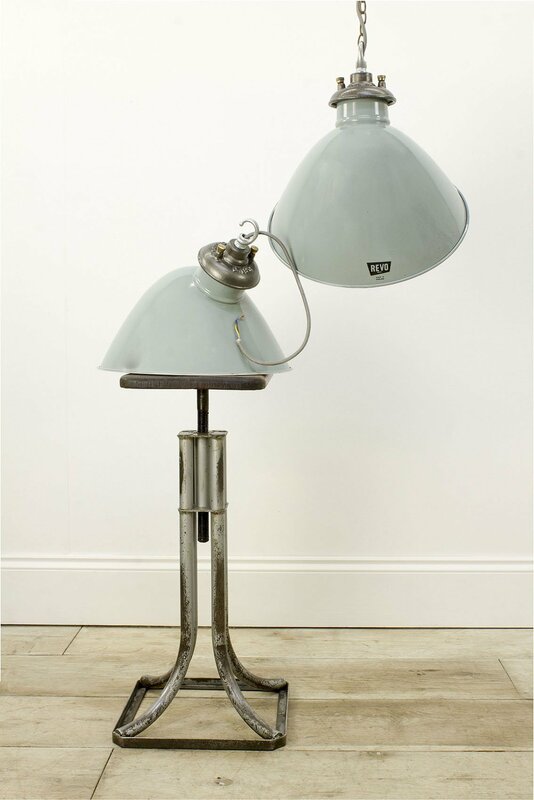 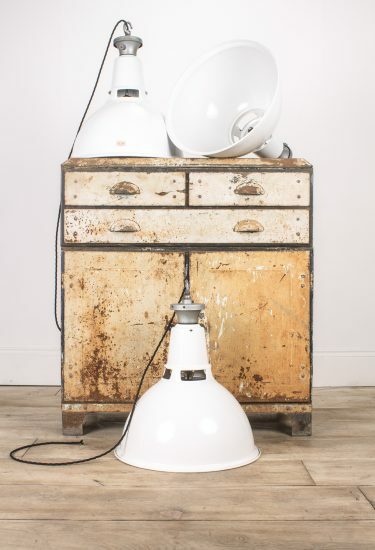 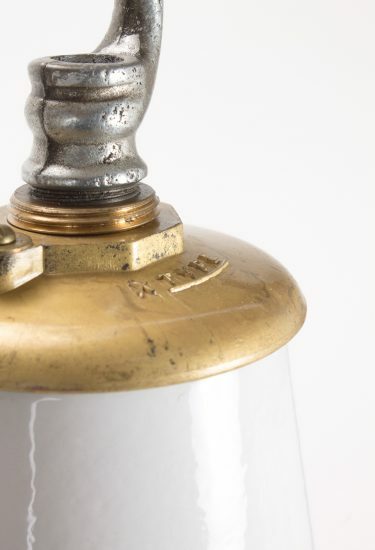 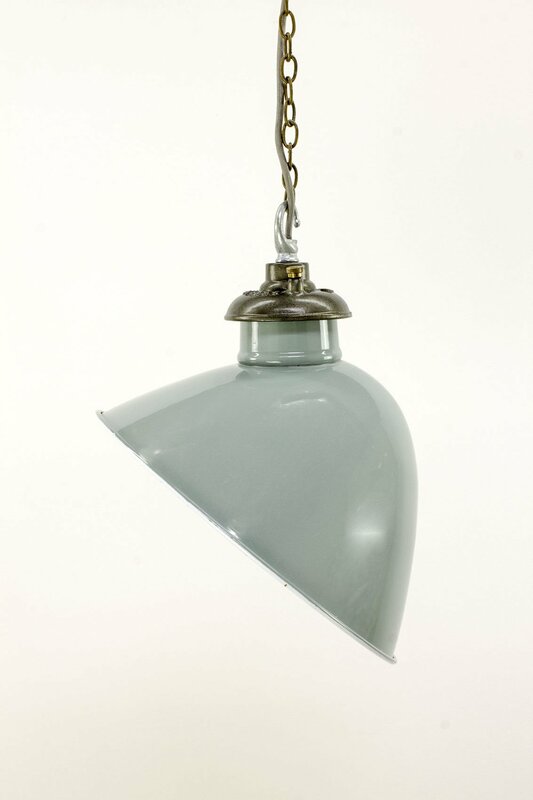 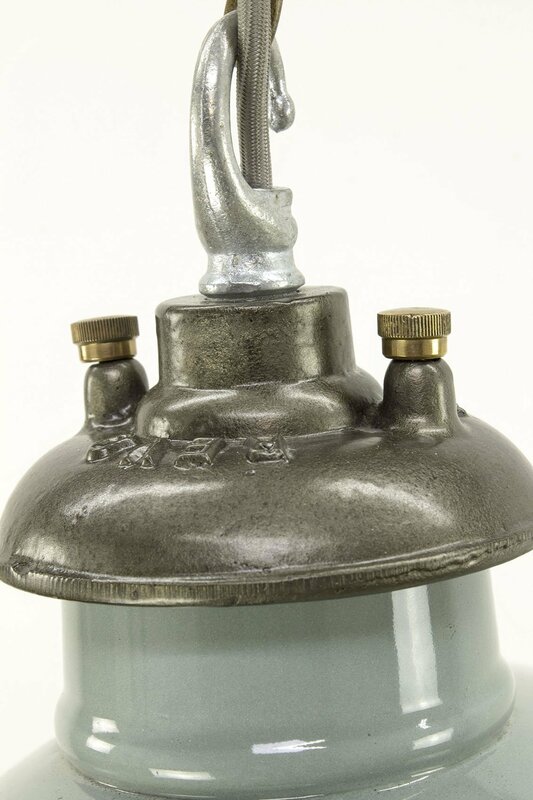 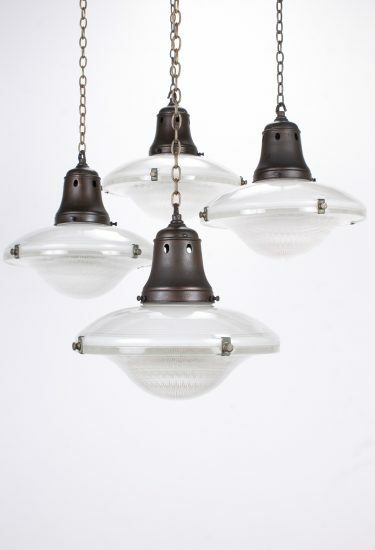 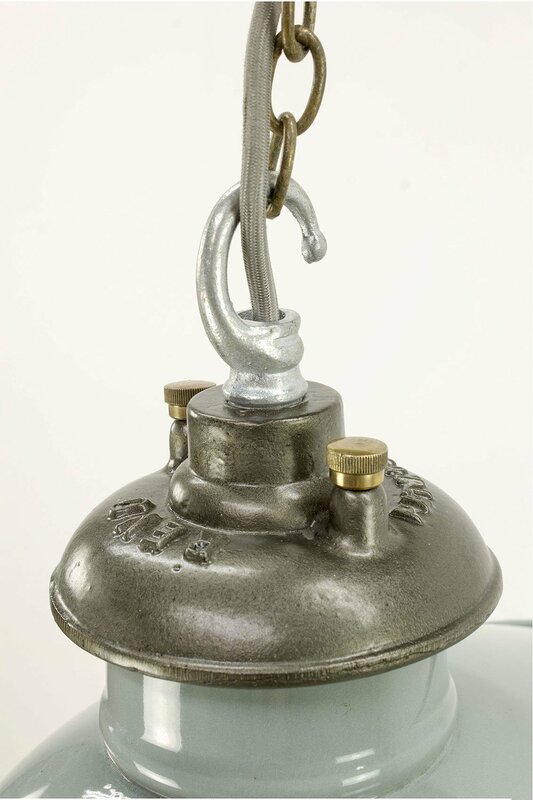 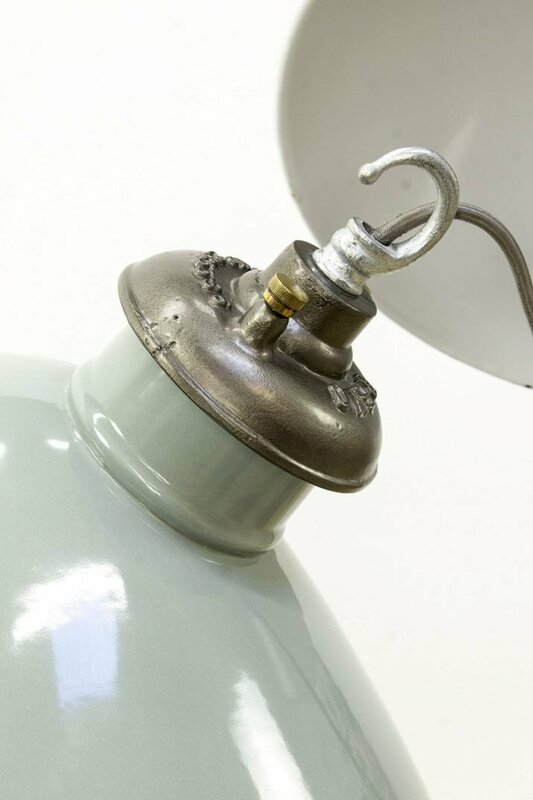 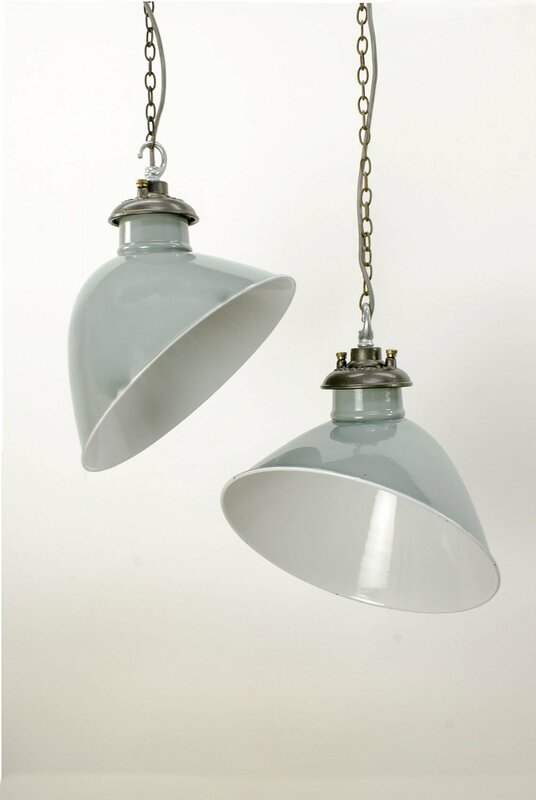 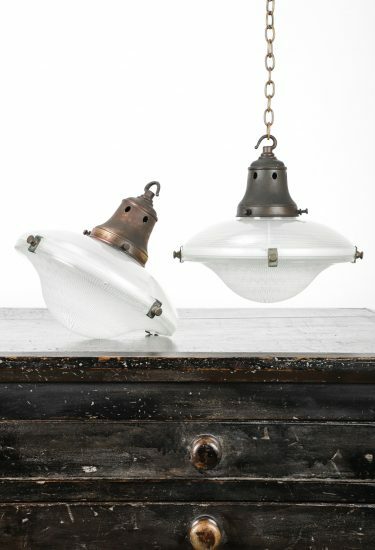 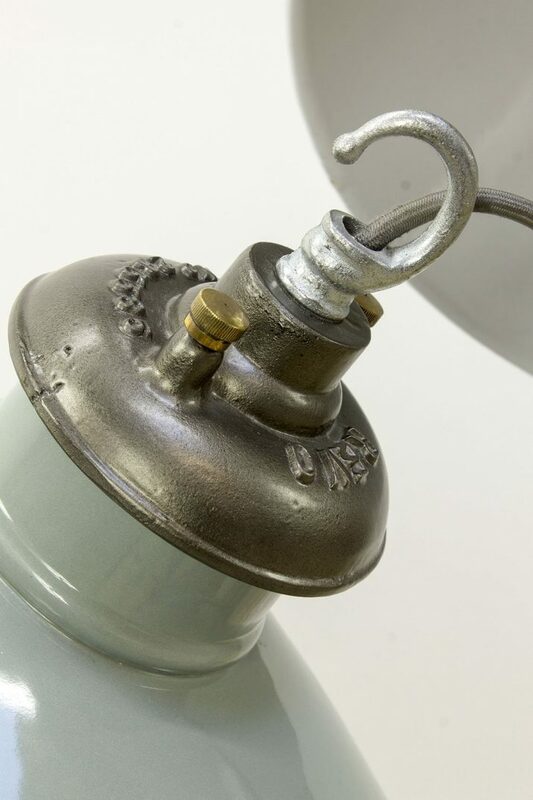 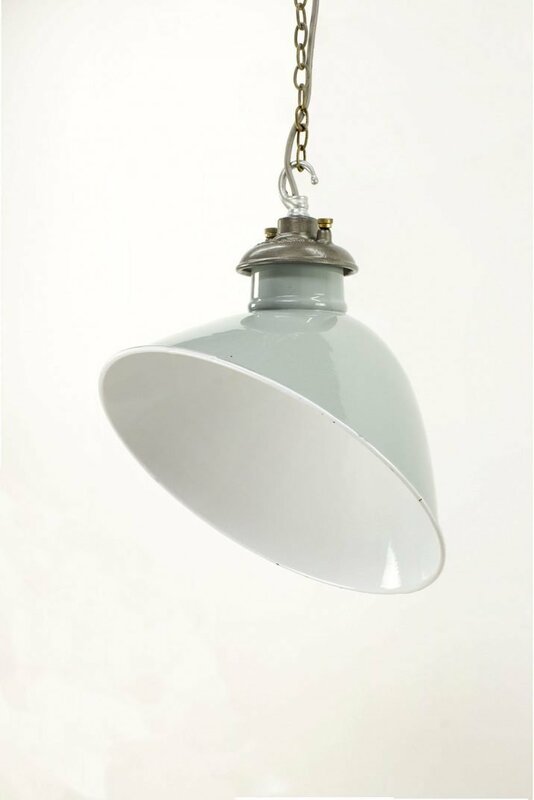 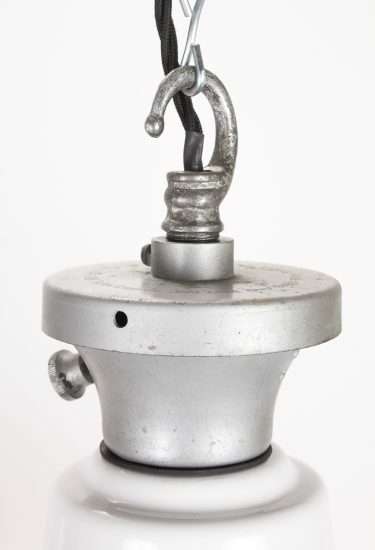 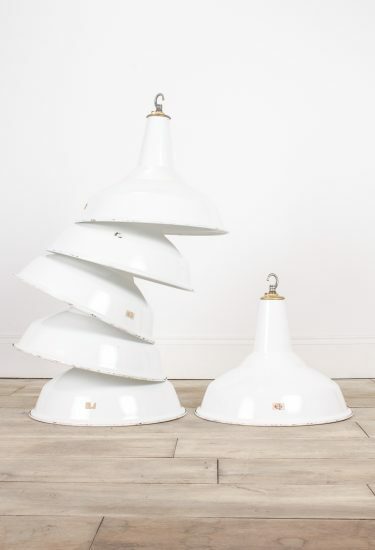 A pair of vintage grey 14″ enamel reflector lights, by British manufacturer 'REVO'. 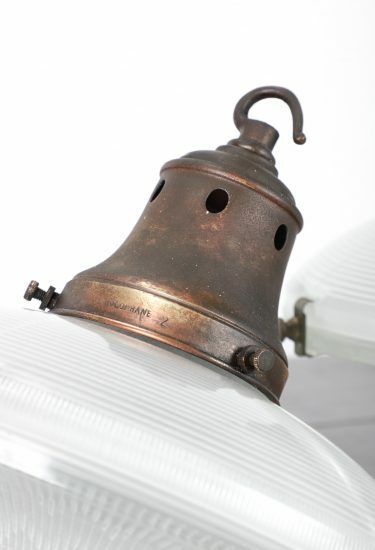 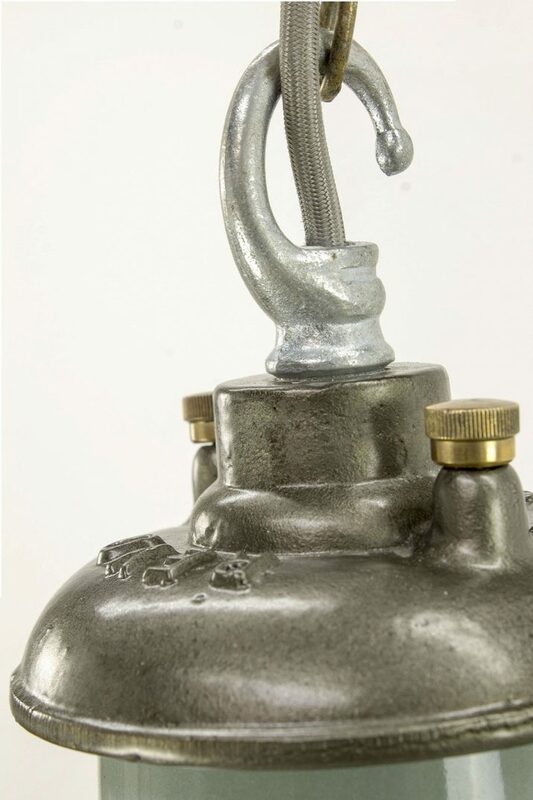 Fully restored & in excellent condition complete with cast metal galleries & brass detailing. 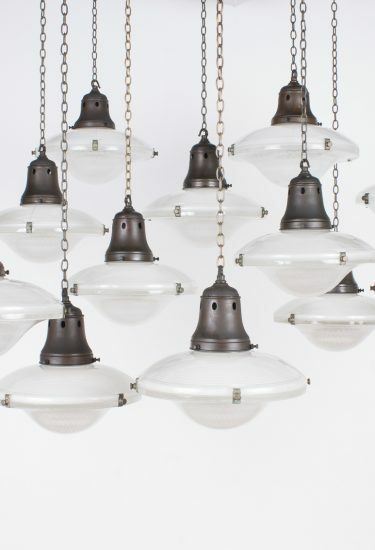 All lights come complete & ready to hang.